Getting prequalified for a mortgage loan - A Home's Best Mortgage, Inc.
"Where Our Name Says It All"
A Home's Best Mortgage, Inc. A Home's Best Mortgage, Inc.
Are you looking for a mortgage loan? We offer FREE loan pre-qualifications! There is no cost or obligation. Give us a call today at (303) 650-9400. Ready to get started? Apply Now. It is helpful to bring in your mortgage loan professional as soon as possible — even before you have started to research neighborhoods. What for? You'll need to know how much home you can afford and thats where we can help out? We can help you find out the loan amount you can qualify for and the monthly payment amount you can afford by getting you pre-qualified. This process outlines your finances - your debts, income, career, and cash available for down payment, among other things. We will require a minimum amount of paperwork, and avoid a lengthy process. If you qualify we will give you a Pre-Qualification Letter which states that we are confident you can qualify for a loan up to a specific amount with a certain down payment. Holding your pre-qualification letter, a number of advantages are yours once you locate the home you want to put together an offer on. The first, you'll know the amount you'll be able to afford when determining your offer. More important to the existing home owner, your pre-qualification is like your having walked into their house with a bag full of money to purchase their house! They won't have to be concerned that they have been wasting their time if you don't have the ability to qualify for a mortgage. Your pre-qualifying for the necessary loan amount backs up your offer. When we pre-qualify you, we'll help you decide the amount you can afford in monthly mortgage payments and the loan amount you will qualify for. The process takes you through your current financial situation - your debts, income, job, cash available for down payment, among other things. It's quick and basic; and we keep the paperwork to a minimum. You can always use the mortgage calculators on this website to get an idea of how much mortgage you can afford - but it's also important to meet with one of our mortgage professionals. 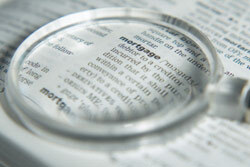 We can study your mortgage options together to help you make the right choice. Let's get started: Call us at (303) 650-9400 or apply on our website! Have questions about pre-qualifying? Call us at (303) 650-9400. A Home's Best Mortgage, Inc. answers pre-qualifying questions every day.